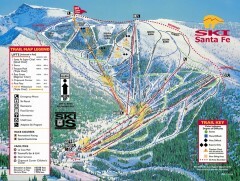 Trail map from Ski Santa Fe Resort. 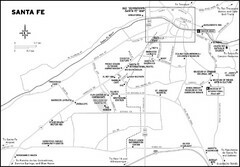 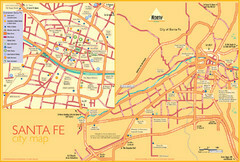 Tourist map of Santa Fe, New Mexico. 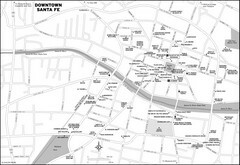 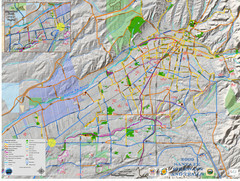 Inset shows downtown Santa Fe in detail.